Berry & Whyte Surveyors was established in 1976 as Kevin W. Porter and Associates Pty. Ltd. at 1 Fredericks Court, Portland (now Target Car Park) by licensed surveyor Kevin Porter before moving to 81A Percy Street. In 2018 the business moved to its current location at 160A Percy Street. Roger Whyte joined the firm in 1983 and a year later received his Bachelor of Applied Science degree in Land Surveying from the Royal Melbourne Institute of Technology (RMIT). Richard Berry was invited to join the partnership in 1986 after an extensive career in private and public surveying which began in the Department of Service and Property in the Northern Territory. When Richard joined the company the name changed to Porter Berry Consultants Pty. Ltd. In 1989 Kevin left to pursue a career as a planning officer for the Shire of Buninyong. Roger Whyte became a partner in 1990 and continued with specialist work for large projects involving the Portland and District hospital, Target, ALDI, Myamyn Chip Mill, Port of Portland, the Heywood SEC substation terminal, and Portland Aluminium. In 2004 the company name changed to Berry & Whyte Surveyors Ptd. Ltd.
Richard Berry retired in 2008 and Roger Whyte is now the Director. The company continues to maintain and improve a successful surveying business employing a total of 7 staff members. Surveying has come a long way since Charles James Tyers was Portland's first surveyor, the man who decided where Portland's settlement was to be and where roads were to go. Surveyors in the past had significant responsibilities to discharge and this still continues today. In the past, where actual chains were used to measure distance, now complex computerised equipment accessing satellites is used. The work of a surveyor today is complicated. 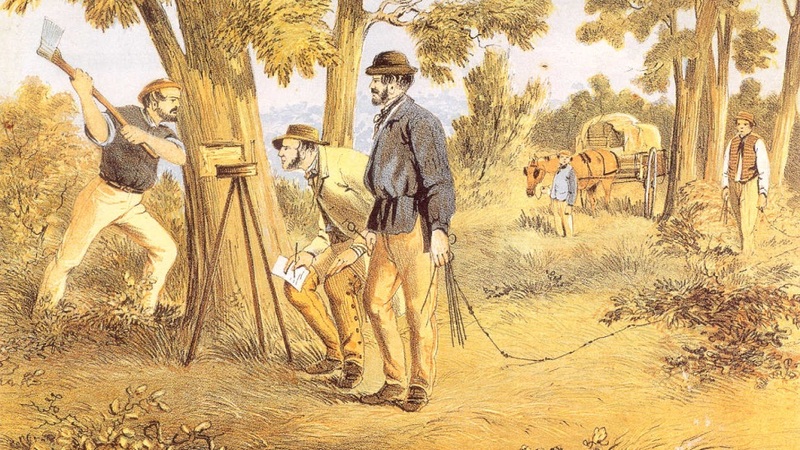 Not only must he possess all the surveying skills, but he also has to have a good knowledge of acts and regulations (the Land Surveyors Act, Survey Coordination Act, Subdivision Act, Property Law Act, Transfer Law Act, and the Planning and Environment Act), so he can satisfy the requirements of the client, council, Title Office, service authorities, financial institutions and state law.